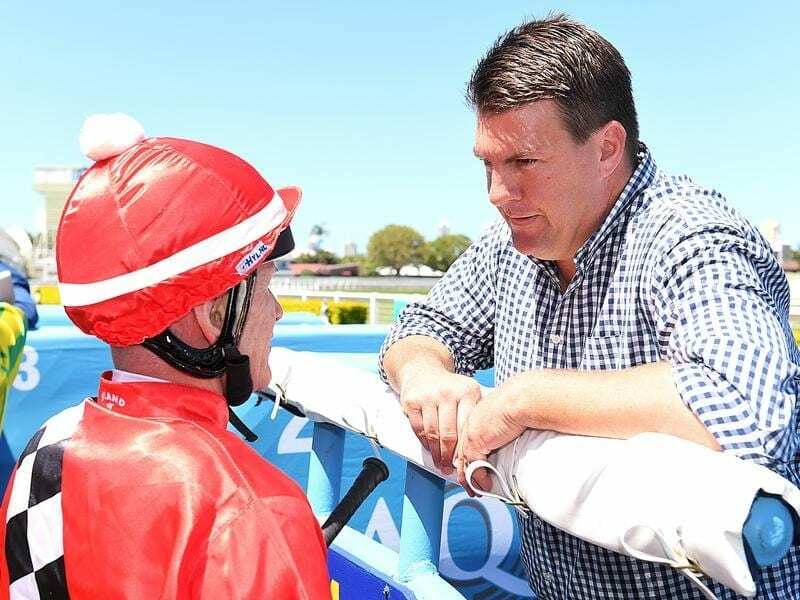 Trainer Chris Anderson (right) is hoping Colour Of Money can step up at the Gold Coast. Trainer Chris Anderson hopes he can achieve his final aim with veteran Colour of Money at the Gold Coast for high profile owner Dato Tan Chin Nam. The seven-year-old Colour of Money steps out to 2200m for the first time this campaign in Saturday’s Superchicken Seafood and Burgers Handicap. Colour Of Money was formerly prepared by James Cummings in Sydney before he became Godolphin’s trainer,. The gelding helped his owner, four-time Melbourne Cup winner Dato Tan, achieve an ambition to win the Bong Bong Cup which is run near his Think Big Stud in the NSW Southern Highlands. “We have won a couple with him including his last start at the Gold Coast over 1800 metres,” Anderson said. “He is out to a suitable distance on Saturday as he has been placed up to 2600 metres. This might be his chance to fulfil his final aim of winning a metropolitan Saturday race. Anderson had a good 2017-18 season with 48 overall winners and hopes to go past 50 this season. “I have some very supportive owners including Dato Tan Chin Nam who sent me four very nice now two-year-olds,” Anderson said.